Is your lawn looking less than stellar? A boost of humid acid could improve its mood! 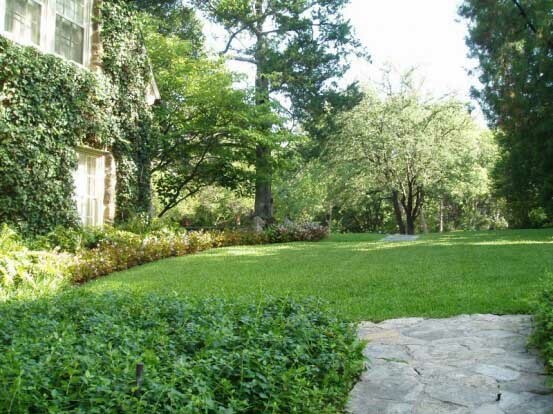 Is your lawn looking less than stellar? Does it seem like your lawn is always falling victim to pests or diseases? More than likely, your soil is the root of the problem. Healthy soil rich in organic matter and nutrients is what keeps your lawn and garden looking its best. Humic acid is something that you can apply to your lawn to help boost the soil. What exactly is humic acid? Basically, humic acid is the main component of the organic parts of the soil, such as humus, peat, coal and other materials. Humus is decomposed plant material in the soil that was broken down by microbes. While the specific content of humic acid will vary based on its source, it’s basically composed of carbon, oxygen, hydrogen, nitrogen, phosphorus and sulfur. How does it help your plants? There are many benefits of humic acid. It is often referred to as a soil conditioner. Humic acid is nutrient rich, making it a good fertilizer for your plants. It improves nutrient uptake by your plant’s roots, drought tolerance and even increases chlorophyll production. Humic acid helps the soil by boosting levels of microbial activity. How? By providing carbon, which is a food source for beneficial soil microbes. By boosting microbial activity, humic acid also boosts the availability of nutrients both in the soil and in the additional fertilizers you use on your lawn. Humic acid can help improve soil texture and water retention. It’s especially useful for us here in the Dallas area, where we tend to have heavy clay soils. Applying humic acid to clay soils can help loosen them, allowing for better water and air penetration. In turn, plant roots are better able to develop and take up nutrients. When we’re trying to manage water more efficiently in our landscapes, it’s important to do whatever we can to waste less! Humic acid can help plants stay watered properly through our extreme summers. We make humic acid a part of our organic Soil Building program. We do this by targeting specific times of year to add the proper nutrients to the soil so plants are stronger and better protected through the seasons. Ready to start your organic maintenance plan so your lawn is “barefoot approved”? Give us a call! We can even get you a free quote online!